Just before Valentine’s Day Manchester High School’s JAG hosted a fundraiser to support an end of the year field trip!. 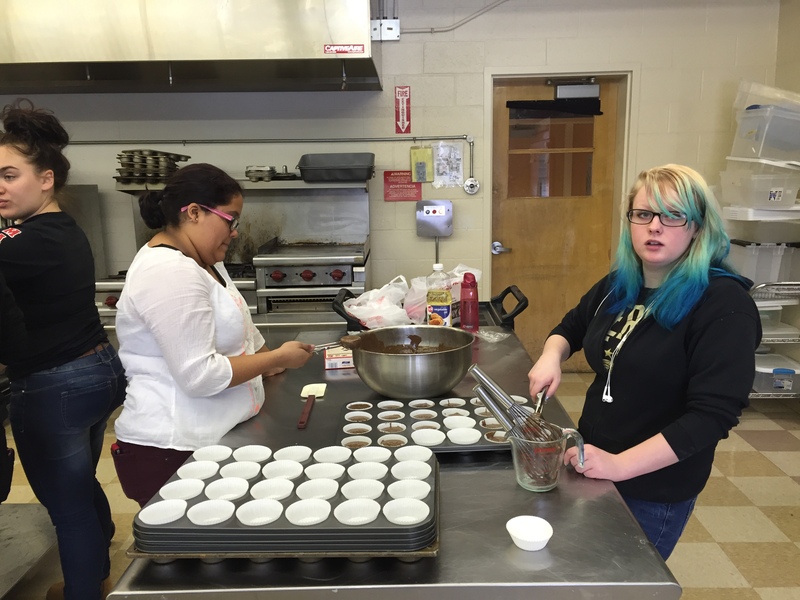 JAG’s vice president, Cassy Barrett, had the fantastic idea to hold a cupcake fundraiser for Valentine’s day. This Fundraiser was open to both students and staff members. Cupcakes were available to order for just $1 a piece. With each cupcake, there was an option to write a special message to the receiver. Justine Meyer, the JAG Specialist at Manchester High School, ordered 200 cupcake boxes assuming that would be more than enough. After just three days of taking orders for cupcakes during the school’s Power Hour they were sold out! There were three flavors the students and staff could choose from: red velvet, vanilla and chocolate. Red velvet was the best seller by a long shot. Over the course of two weeks, groups of JAG students helped enter orders and fold cupcake boxes. 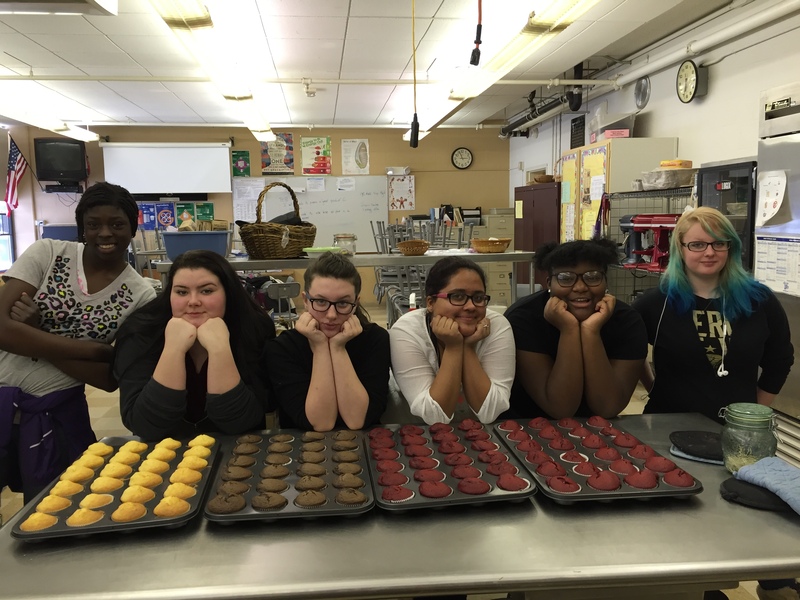 The Wednesday and Thursday before delivery, JAG students and volunteers helped bake, frost, box and label the cupcakes. 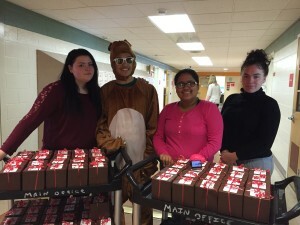 They were delivered to staff and students on the Friday before Valentine’s Day. The Vice President and JAG Specialist worked especially hard to make make this fundraiser such a success.